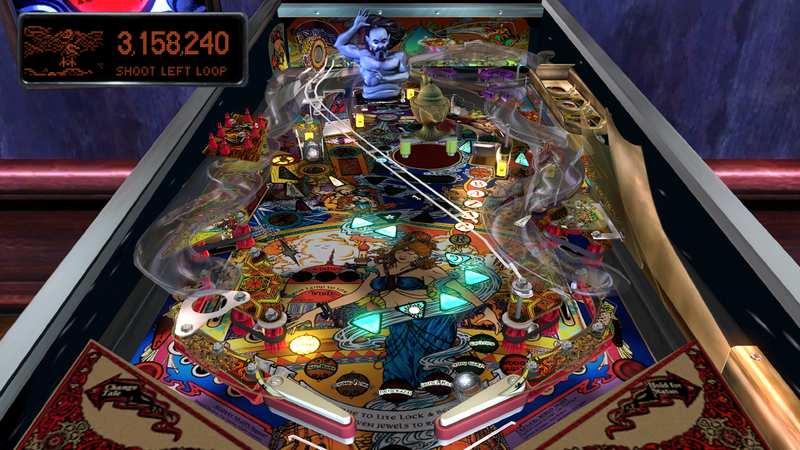 Pinball Arcade by FarSight Studios features exact recreations of the all-time greatest pinball tables from Williams®, Bally®, Stern Pinball®, and Gottlieb® together in one game. Every flipper, bumper, sound effect, and display pixel has been painstakingly emulated in astonishing detail. Twilight Zone™, Star Trek: The Next Generation™, Theatre of Magic™ (named the best video pinball simulation of all time by G4TV), Scared Stiff™, Elvira and the Party Monsters™, Monster Bash™, Gorgar™, Circus Voltaire™, Funhouse™, Medieval Madness™, Pin•Bot™, The Machine: Bride of Pin•Bot™, Creature from the Black Lagoon™, No Good Gofers™, Big Shot™, Taxi™, Harley-Davidson® 3rd Edition, Black Knight™, Cactus Canyon™, White Water™, Space Shuttle®, Centaur™, Flight 2000™, Goin’ Nuts™, Terminator 2: Judgment Day®, and other great tables are also available from within this great game. Each month, regular updates will add classic pinball tables for years to come! Our goal is for the Pinball Arcade to become the most realistic and comprehensive pinball game ever created. Please support us in our efforts to preserve these tables and join the indelible part of Americana that is pinball! I hope Arabian Nights is still free as it&apos;s been on everything else. It&apos;s the only thing I play on there lol. Oh mannnnn....with Fun House, Gorgar and Pinbot on there...I may just HAVE to go for this. I spent many hours playing those tables at the local arcade/bar/etc when I was young. Many good memories surround those pinball tables for me!